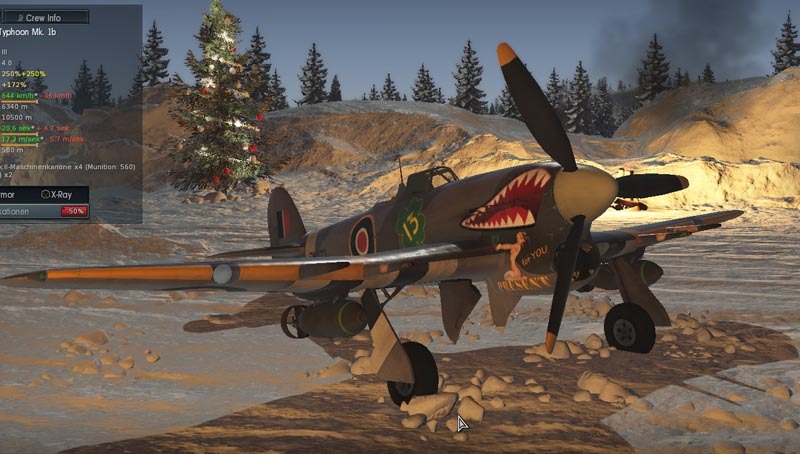 Update 1.5.5, ‘Royal Armour’ is the current version of free tank and aircraft action game War Thunder. 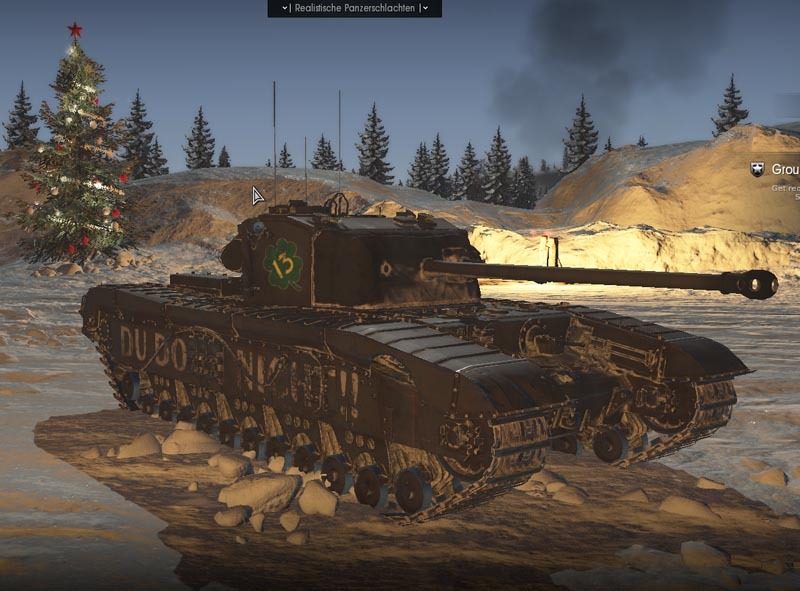 The new British A43 Black Prince under the Christmas tree. We didn’t splashed out and went into battle with the Premium ‘Black Prince’, the strongest and last Churchill version of 1945, along with the premium fighter-bomber Hawker Typhoon, which we could find in our old stands. Additional there came out the first and well done battlefields of the Western desert theater of war: Tunisia and Second Alamein; together with some Desert Camouflage. 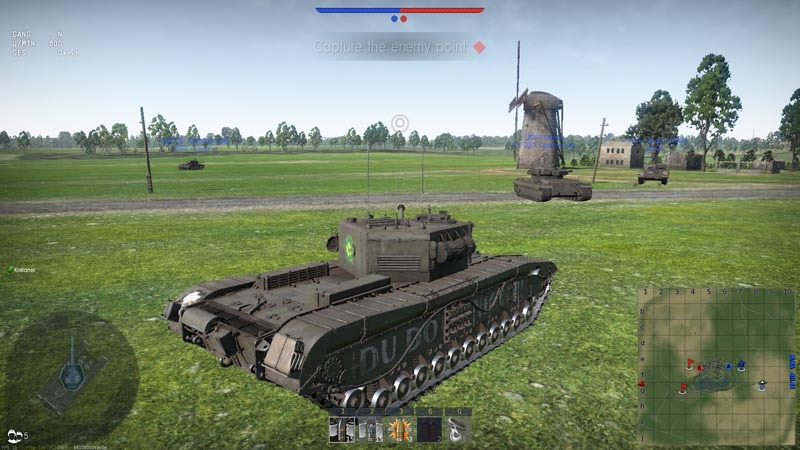 The British tanks of the ‘Royal Armour’ and the RAF fighter-bombers make it really humor, as you can see. The damage effect and effectiveness of their guns to be proud of. However, the classifications of the ‘Battle Rating’ still needs some sort of improvement in many cases, to say, the British tanks at some BRs (‘Battle Ratings’) are too strong in relation to their opponents at the moment. On the other hand, the well-known Matilda Mk II is facing too strong enemy tanks. 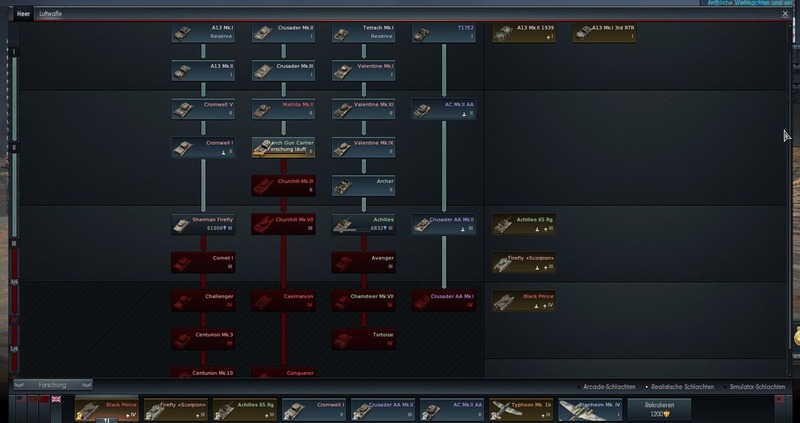 A great improvement is now the fact, that in most battles two teams each of two different fractions are grouped together (British, US, German, Russian), so often interesting and balanced fights are the result (at least in the range of BR 5.7-6.7). For the British vehicles of ‘Battle Rating’ (BR) 5.7 it seems currently for a balanced Victory vs Defeats ratio. Everybody who wants to give the new British tanks a test drive could download the game for free here ! Have fun and a Happy (Christmas) party ! British tanks of the ‘Royal Armour’ ready for the battle.